• The policy of financial siege and encroachment on financial rights will not weaken the positions of the two Fronts, and they will not retreat from their policies in adhering to the PLO and its national program (The program of Intifada , resistance ,the right to self-determination, independence and return). 1) As we bid farewell to another year of struggle and steadfastness in the face of occupation and settlement and the liquidation of the national cause projects, we salute the honorable role played by the masses of our people - in defending the Palestinian cause, rights and land - which have made precious sacrifices in Jerusalem, the West Bank, Gaza Strip, the Diaspora and the 48 areas, affirming their rejection of all alternatives to their legitimate national rights in liberating themselves from occupation and settlement, freedom, independence, sovereignty, self-determination and the right of return for the refugees of our people, pursuant to Resolution 194, which guaranteed them the right to return to their homes and properties, as well as their rejection to the projects of division and fragmentation, and affirming at the same time their adherence to the PLO and its institutions and national program, on the basis of national partnership, as a legitimate and sole representative of our people. 2) As our national cause enters a new year, the two Fronts emphasize that the Trump deal and the policies of the right-wing and far-right government headed by Netanyahu, have taken dangerous steps on the road to imposing the eliminating solution to the Palestinian national cause. And that the plan of the American-Israeli reactionary Arab coalition no longer hides its obvious and explicit objectives, while the official Palestinian leadership is in place and is still delaying the process of translating its rejection of the American-Israeli project into practical steps adopted by our national institutions, including severing all forms of relations with the US administration (including the relationship with the CIA), withdrawing the recognition of the State of Israel, stopping the security coordination with the occupation authorities, disengaging the Palestinian economy from the Israeli economy, withdrawing the Palestinian labor from Israeli settlement projects, recovering the population and land registry from the civil administration of the occupation , halting the dealing with the Israeli shekel, and mobilizing all forms of popular resistance on the path of the comprehensive intifada, and national disobedience, in order to defeat the occupation and settlement and to win the legitimate and inalienable national rights. 3) The two Fronts discussed the situation of the destructive division and held the two parties, Fateh and Hamas, responsible for thwarting all the projects to end the division, restore the internal unity and form a national unity government, paving the way for comprehensive elections in accordance with the outcome of the Preparatory Committee meeting of the National Council in Beirut on 10-11 / 1/2017, to rebuild the national institutions, at the heart of which is the Palestinian National Council, with the participation of all Palestinians, under the system of full proportional representation, and calling on a unified session, to be held in a place to be agreed upon, in order to allow everyone to participate without obstacles , to elect an executive committee that reflects the internal unity and an independent board for the Palestinian National Fund, away from the singling and exclusiveness policies, and from transforming the Palestinian people's money to a corrupting tool in the management of public affairs, and the liquidation of differences with political forces and parties. 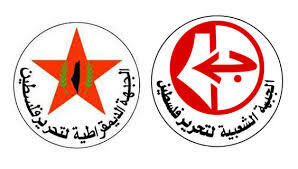 4) In this context, the two Fronts condemned the policy of exclusivity and monopoly exercised by the influential leadership in the management of public affairs, particularly the policy of exclusivity in the administration of the Palestinian National Fund, which is used to liquidate the accounts, including its decision to withhold the legitimate financial rights of the two Fronts ("PFLP" for more than ten months, and "DFLP" for more than six months) in a desperate, rejected and failed attempt to pressure on the two Fronts and their policy of opposing the official leadership policy, which is still clinging to the remnants of Oslo and calls for the resumption of bilateral negotiations under their roof (as stated in the proposal of the President Abbas in the Security Council on 20/2/2018), and disrupting the decisions of the Central and National Councils to redefine the relationship with the occupying state, abort the Oslo page and free from their restrictions, and return to the national program of the PLO, the program of return , self-determination and the establishment of an independent Palestinian state with full sovereignty and eternal capital. 5) In the same context, the two Fronts emphasize their adherence to their policies, the national policy, as endorsed by the Cairo Declaration (2005), the National Accord Document (2006), the outcomes of the Preparatory Committee meeting of the National Council (2017), and the outcome of the Cairo dialogues, including 2011 , 2013 and 22/11/2017. 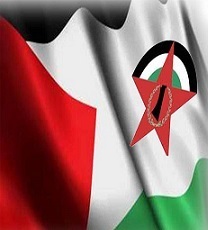 Both Fronts reject all forms of financial extortion and affirm their keenness to restore their financial rights from the Palestinian National Fund, as no one has the right to deprive the fighters of both Fronts of their rights, as approved by the internal regulations of the National Council and the PLO. 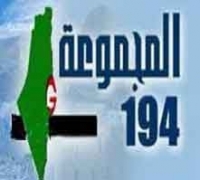 They also assert that the imposition of financial sanctions on them by the powerful leadership will never succeed in moving their political positions in opposing the policies of the American-Israeli Arab reactionary coalition, the policy of sticking to the Oslo remnants, tampering with the national institution, deepening the division and disrupting the decisions of the sessions of the Central and National Councils, including the cessation of security coordination with the Israeli occupation, which impedes the rise of the resistance of our people in all its forms and uprising, and deepens the dispute within the PLO and its national factions. The two Fronts, as calling on the official leadership to reverse its unjust decision to confiscate the financial rights of them, calling at the same time upon the Executive Committee of the PLO and the Fatah Central Committee to shoulder their national responsibilities to end the confiscation of the rights of the two Fronts, as this decision is a violation of the rules of the National Coalition and the decisions of the National Institution, and it weakens the national situation in the face of hostile projects.